A sliver of a distant comet from the dawn of the solar system has been discovered in an unlikely place – inside a meteorite which crashed into Antarctica. It is just a tenth of a millimetre across – the thickness of a human hair – and has a striking similarity to extraterrestrial dust particles. These are believed to have originated in comets that first formed near the outer edges of the Solar System’s. 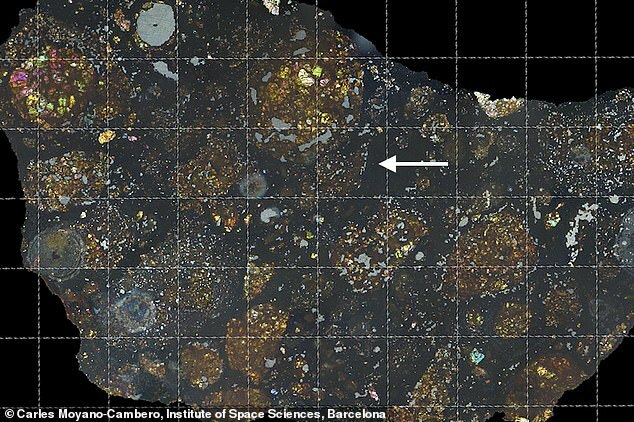 By studying a meteorite’s chemistry and mineralogy, researchers can reveal details about its formation. They can also tell how much heating and other chemical processing it experienced during the solar system’s formative years. Researchers claim the remarkable rock, name LaPaz after the ice field it was found in, provides a vital missing link in the search to understand how the planet’s of the solar system first formed. 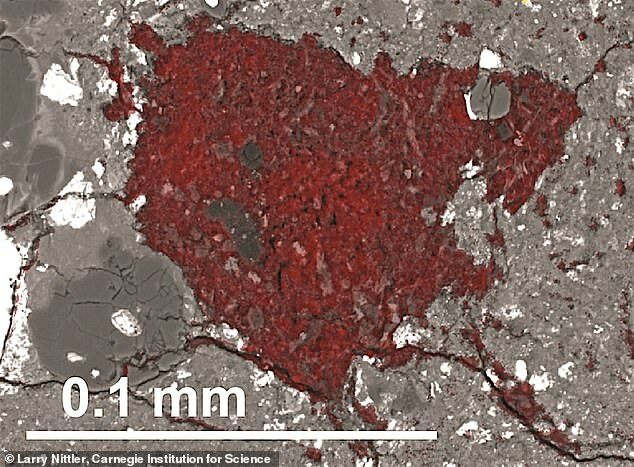 The primitive material’s existence inside the meteorite indicates such particles migrated from the outer edges to the closer-in area beyond Jupiter where the carbonaceous chondrites formed. This was due to drag from the surrounding gas – revealing details about how our Solar System’s architecture was shaped during the early stages of planet formation. Professor Nittler said it supports the idea of a ‘radially inward transport of materials’ from the outer proto-planetary disk into a carbon reservoir. This was during the birth of the rock fragments that ended up developing into Mars, Jupiter, Mercury, Neptune, Venus, Uranus, Saturn – and Earth.